This procedure has been used since the 1950s and remains to be one of the most effective and recommended cancer treatments in conventional medicine. 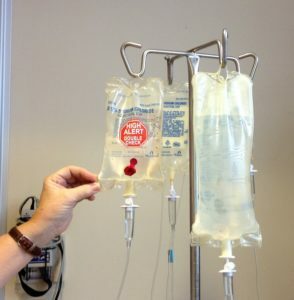 While there has been no question to the effectiveness of chemotherapy, many of the drugs bring various side effects. This is because these types of medicines have a tendency to attack not just the cancer cells but may also affect other areas of the body. This is why it is very important to learn how to cope with these side effects, whether you are undergoing chemotherapy or have a loved one who does. Here are some of the ways you can deal with the accompanying side effects of anti-cancer drugs. Exercising regularly can help deal with one major side effect of chemotherapy, which is fatigue. While most patients think it would be best for them to stay at home, sitting back and relaxing will actually make them feel more tired. The truth is that exercise can reduce stress and fatigue. It can even improve your appetite. Consult with your doctor and create an exercise plan that would best suit your current condition. Stick to light and moderate exercises, such as brisk walking around your neighborhood. You may even ask a friend or a relative to accompany you. Taking anti-cancer drugs can take a toll on your body, as it can also destroy healthy cells that are near the rogue, cancerous cells that are attacking your body’s tissues and organs. One of the best ways to help your body recover from treatment is to eat healthy foods so you can get the nutrients needed to rebuild those lost healthy cells. Work with a dietitian or your doctor and create a diet plan to ensure you are getting the right vitamins and minerals needed to get you back in shape. One thing that chemotherapy medicines can do is make the mouth dry. This is why it is important to drink at least one and a half liter of water each day. Make it a habit to bring a water bottle or container so you have a drink ready whenever you feel thirsty. In addition, you can also drink at least a glass of milk, vegetable, or fruit juices. Protect and nourish your hair, skin, and nails. You can expect to encounter skin and nail problems to once you start undergoing treatment. Pay careful attention to any skin rashes and itchiness that might come out. Try to avoid swimming as chlorinated water as they can worsen the condition. Apply a moisturizing cream (preferably unscented and recommended by a trusted dermatologist) to prevent the skin from drying out. If undergoing radiotherapy alongside chemotherapy, make sure you ask your doctor’s permission to apply moisturizer on the skin surfaces that are currently being treated. In the event that you lose your hair from treatment, use sunscreen on your head. As for the nails, just apply nail oils or any moisturizing cream if they become dry or flaky. Again, consult your doctor regarding the right products to use to avoid medical hazards. As patients go on taking anti-cancer drugs, they will start to experience numbing of their hands and feet. Pins and needles are going to be a common phenomena among patients undergoing this therapy. You do not have to worry as much though because the sensation, or lack of it, ends with the treatment, you will see improvement in your nerves. Those tips mentioned above are some of many methods that can help you cope with the side effects of chemotherapy. It would be best to consult with an experienced healthcare specialist for other ways of managing various types of pain and discomfort cancer patients experience when undergoing this particular therapy.